Armor with special functions and special abilities. 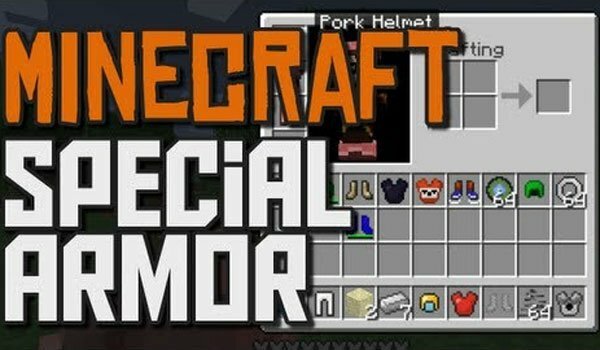 Special Armor 1.7.2 and 1.7.10 is a mod that lets you create some pieces of our armor. These new pieces will bring us new effects and cool features beyond pure armor protection offered, let’s see! Some of the skills are: improve our speed, jumping, flying, and even wear a dispenser that will automatically shoot arrows at al the mobs. Also walk on water, turning it into ice, walk on the lava while creating obsidian under our feet or wear an slime helmet that allows us to stick to the ceiling. These are some examples of the skills we are able to do with the new pieces of armor that you can craft with this mod. How to install Special Armor Mod for Minecraft 1.7.2 and 1.7.10?